Spring in Kansas City means homeowners are done being cooped up in a house they want to change. Now is the time to address all those things that annoyed you about your home this winter. Whether you want to add more natural light, get rid of that drafty door, or figure out a way to enjoy the beauty of your backyard from the comfort of your climate controlled home, Blue Springs Siding & Windows has some awesome ideas to spur your remodeling inspiration. Natural light is the most flattering type, plus is creates the illusion of more space. This spring is the time to add to your window space in that one area of your home that just never seems to look awake. 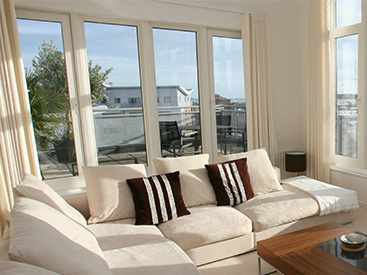 If you want to add a lot of light, then add to the existing windows in your home and create a beautiful window display. Already have a single double hung window, but it’s just not enough? Add two more on either side. If you just want to sneak in some more light where you can, try adding skylights, or replacing your solid front door with one with glass. And no need to be afraid of the light in fear that its UV rays will fade all the color in your home. 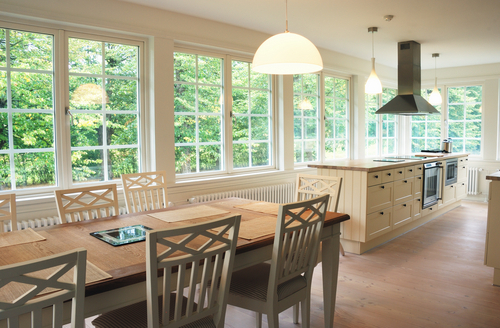 Today’s advanced window technology provides options for Low-E glass that filters out those harmful UV rays. So soak up those rays while indoors! 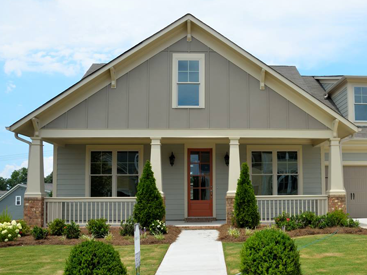 Another popular spring remodel project is revamping the curb appeal of your home. 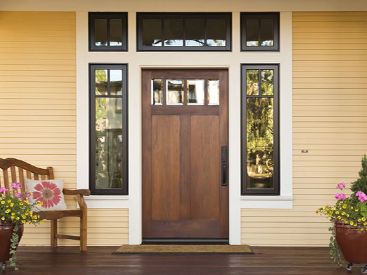 One of the best ways to do that is by investing in a brand new front entry door that has lots of pizazz. And what is pizzazz, you ask? Think bright, classic colors, bold natural wood finishes, glass designs, modern hardware, and reliable security. 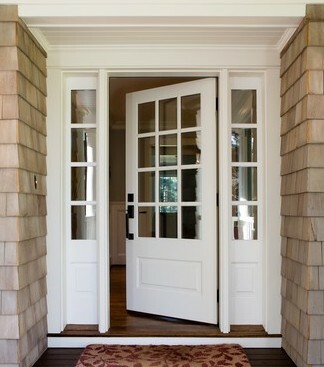 Your front entry door is one of the first things people see when they pull up in your driveway. This one investment can change people’s perception of the value of your home, and greatly boost its curb appeal quickly. You don’t have to boil under the hot summer sun to enjoy your beautiful backyard. There is another way. Install an all seasons sunroom to your Kansas City home with Blue Springs Siding & Windows. You can keep the glass window pieces in, and keep your sunroom fully air conditioned, or replace the glass inserts with screen inserts to enjoy the nice summer breeze in the cool shade. It’s totally customizable to your liking. The addition of an all seasons sunroom or sitting porch is a great way to increase your satisfaction with your home, and add living space and immense value to your home. Call Blue Springs Siding & Windows today at (816) 228-5225 to make your spring remodeling dreams come true.